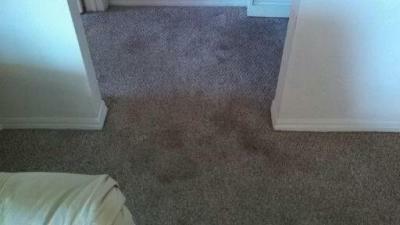 Best residential carpet cleaning company in Sarasota, Fl. Today we are cleaning the carpets in a house located in Turtle Rock. Turtle Rock is a neighborhood in Palmer Ranch, Sarasota, Fl. The house has carpet in the living room/dining room area, 3 bedrooms and a hallway. The owners requested we use the Rotovac carpet cleaning restoration system. 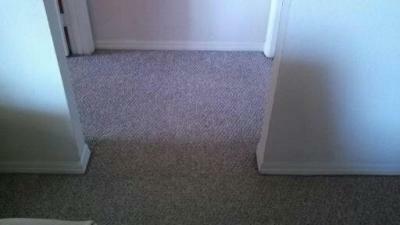 They had visited our website and realized their carpets needed to be cleaned by the Rotovac carpet cleaning system. The entry way to the bedroom of their son required a little extra attention. They were so satisfied with how well the technicians of Superior Rapid Response had cleaned their carpet’s, they contacted the office and scheduled an appointment to have their tile & grout cleaned. Superior Rapid Response is licensed, insured, bonded and has workers compensation. We are an IICRC certified firm, company number 211590. The IICRC is recognized as the leading authority for establishing carpet cleaning procedures, training and certifying technicians and companies. Superior Rapid Response is the best residential carpet cleaning and tile & grout cleaning company in Sarasota, FL. Our goal is to offer high quality carpet and tile & grout cleaning at an affordable price. Superior Rapid Response – Where modern technology meets good old fashion customer service.